The Gulfstream 200, featuring impressive cruise speed and range, is especially notable for its comfort-level. With the tallest and widest cabin in its class, at 6'3 cabin height and 7'1 cabin width, the Gulfstream 200 is equipped with a fully heated and pressurized baggage compartment, along with a roomy refreshment center. Following the acquisition of Gulfstream in 1999, General Dynamics acquired Galaxy Aerospace Company from Israel Aerospace Industries Ltd in 2001. This acquisition included the type certificates for the family of aircraft, which General Dynamics gave to Gulfstream. The Galaxy model was later renamed the Gulfstream G200. With an expansive range, roomy cabin, and high airspeed capabilities, the G200 is formidable even when considered to later Gulfstream aircraft. The airframe of this private business jet was designed with the aid of 3D computer-aided structural analysis programs. Aluminum alloys, titanium, and steel are utilized for much of the main structures, with composite materials for some of the secondary structures. 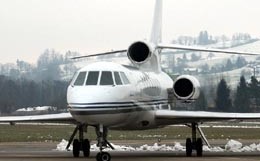 The cabin of the Gulfstream G200 measures 24.4 feet in length, reaches 6.3 feet in height, and stretches a maximum of 7.2 feet in width with a floor width of 5.7 feet. While typically arranged to accommodate 10 passengers, the cabin of the G200 can be configured to seat from eight to nineteen passengers. With 125 cubic feet of storage capable of accommodating 2,400 pounds of luggage, the G200 offers more than enough space to accommodate any luggage your passengers require. With a maximum pressure differential of 8.8, the G200 is capable of maintaining a sea level cabin altitude at an altitude of 23,000 feet. Sixteen windows surround the cabin, allowing a light environment for productive business or a relaxing view. The Gulfstream G200 comes standard with two Pratt & Whitney PW306A engines. These engines, similar to those used on the Learjet 60 and Hawker 1000, are rated at 6,040 pounds of thrust each. As such, these powerful engines allow the G200 to climb to an altitude of 37,000 feet in just 19 minutes. The G200 requires 6,083 feet of runway to take off on a standard day. At an airport with an altitude of 5,000 feet, this requirement increases to 8,804 feet. With four passengers, the G200 needs only 2,590 feet of runway to land. This private business jet features an impressive transoceanic range of 3,400 nautical miles, making the G200 an ideal choice for flights to distant destinations. 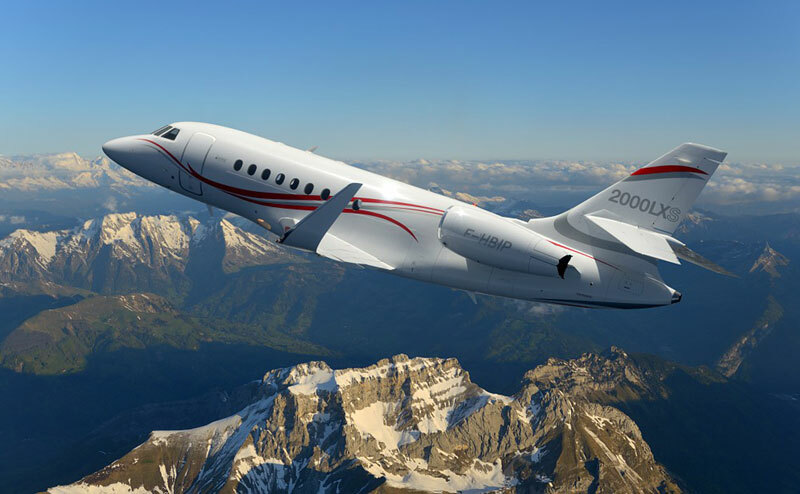 In a long range cruise configuration, the G200 is capable of flying at an altitude of 41,000 feet and an airspeed of 430 knots. For a swifter flight, the G200 is capable of maintaining an airspeed of 470 knots at an altitude of 37,000 feet. The avionics suite selected for the G200 is the Collins Pro Line 4 avionics suite. Five screens are utilized in this arrangement, with one main Engine Indicating and Crew Alert System (EICAS) screen in the center surrounded by four smaller screens that display relevant flight and system information. Typical systems included in this package are dual ARINC 429 Pro Line communication, navigation, and identification radios with dual DMEs and ADEs, a WXR-840 weather radar diagnostic computer, a digital autopilot, a Allied Signal GNS-X/EX Flight Management System (FMS), and an attitude and heading reference system. For more information about chartering, leasing or buying a Gulfstream G200 please contact us by calling +44-20-3874-8091 or send us an email here.